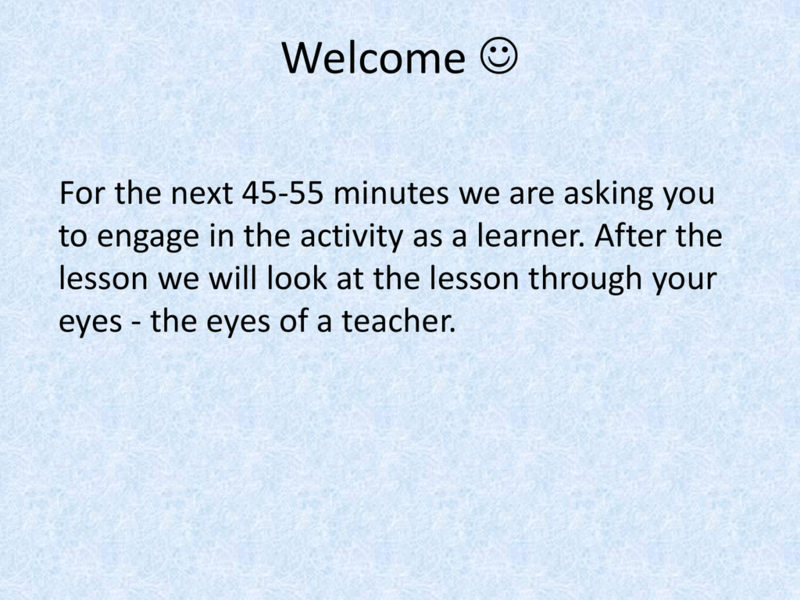 eyes - the eyes of a teacher. 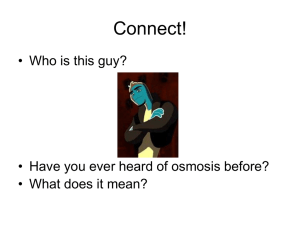  Record the focus question for today’s lesson. to its effects on other substances? 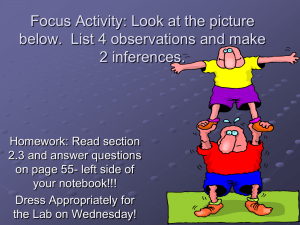  What do you think ‘concentration’ means? Where have you seen this term before? thinking. Feel free to write down additional information. solution to store their contacts in overnight? to write down additional information. introduced gummi worms in 1981.
candy to have been turned into a television show. thoughts in your science notebook. Be specific. substances that is uniform throughout. 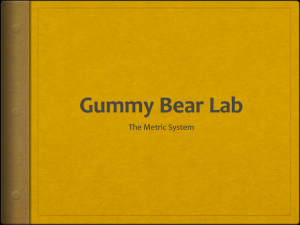 moles/L, which is referred to as molarity, M.
observations of the gummy bears. according to size from smallest to largest. a paper towel and place the towel in the trash. them to the ziplock bag provided. out of the cup easier. concentration of the solution it is in? solutions compare with those in the salt solutions? or out of the bears. thinking because of the class discussion. more concentrated than a 0.1 M solution? the solution it is in? with those in the salt solutions? 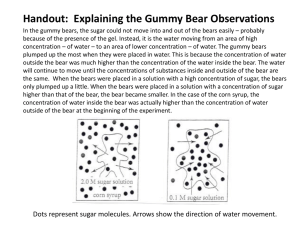 movement of particles into or out of the bears. 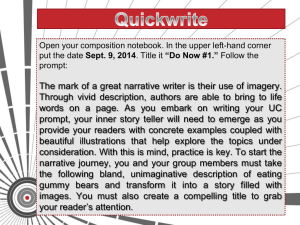 Read the handout provided by your teacher. to the concentration of the solution it is in? 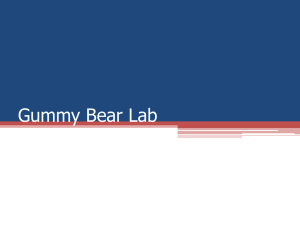 outside of the bear at the beginning of the experiment. Dots represent sugar molecules. Arrows show the direction of water movement. 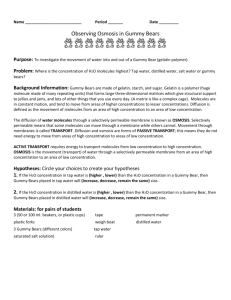 to an area of low water potential (high solute concentration). molar concentration of the solute but not on its identity. is related to its effects on other substances? a 1.5 M sugar solution overnight?  Use your data to help determine the outcome. water in or out of the bear. The lesson is completed at this point. support the new Colorado Science Standards? and the right side of the standards page(s).  Record and discuss your findings. maintain relatively stable intracellular environments. environments, even in the face of changing external environments. 1. 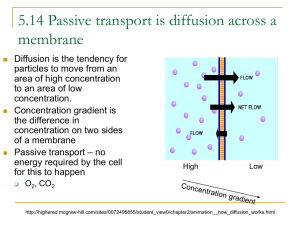 What variables affect the rate of transport across a membrane? 2. 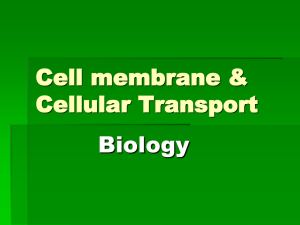 Why is it important that cell membranes are selectively permeable? the action of natural signals there. 3. Technology is used to support humans on dialysis. 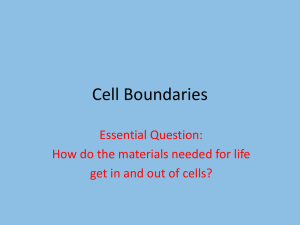 into and out of the cell and use an inquiry approach to find the answer. reviewing the work of others. the new teacher evaluation tool? compare to lessons in your current classroom? like to incorporate into your classroom? 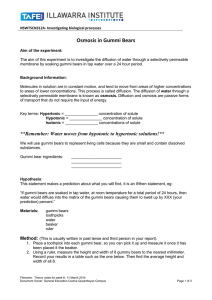 water to less water or from less solute to more solute. 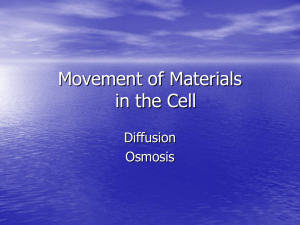 water pressure reaches the osmotic pressure, osmosis stops. cause it to burst and be destroyed. multiple definitions and explaining how the two processes work. placed in fresh water to show the reverse effect. contents of the tube blue?